Click on any service below or in the drop menu above to find out more information and pricing. Then feel free to make an appointment online. It’s that easy! At your home I’ll teach you to train your dog basic manners such as sit, down, stay. Together we can also address some problem behaviors such as potty training, puppy play biting, and digging. If you’re looking to teach your dog some tricks but don’t want to go to a class or can’t find a class that fits your needs in your area, this is also the training for you. This is also a great option if you have a new puppy! This is a great time to talk about socialization, common problem behaviors, and what to focus on in those early days, weeks, months of “puppy” being home! Behavior Modification is different from Basic Training in that you are addressing serious problem behaviors such as; reactivity towards dog/people, fear, resource guarding, body handling sensitivities, and/or separation anxiety. These problem behaviors often require modification of the dog’s emotional state. Learn all about the sport of agility and how to do it with your dog! These classes are intended to help dogs who are reactive toward other dogs either because they don’t want to be near the other dogs or because they are overexcited by other dogs. Click the link to learn more! Do you worry about your dog running into a rattlesnake on the trail? Click the link to learn more and to find out about how our methods differ from traditional methods. 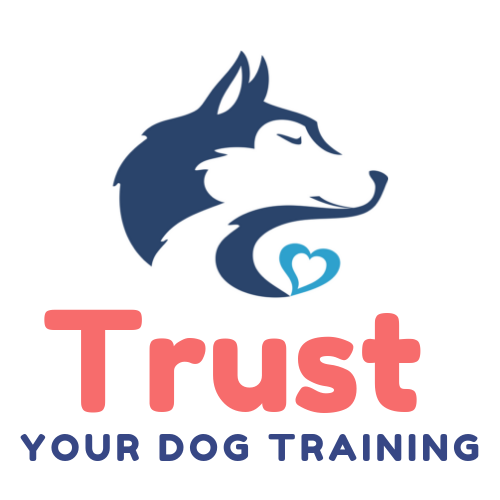 Are you interested in finding out more about training with Trust Your Dog Training? Click here for more information or to schedule an appointment!